Welcome and thank you for contacting St. Augustine Parish regarding your pending wedding. We, the clergy and staff of St. Augustine parish, congratulate you on your engagement and your decision to celebrate the beginning of your lives together as husband and wife in the presence of God and His church. We are pleased and ready to assist you in the year-long process of discernment, preparation and planning. The preparation phase is a most special time in your lives together. The Catholic Church understands marriage as a “covenant, by which a man and a woman establish between themselves a partnership of the whole of life” (Catechism 1601). When both spouses are baptized, their marriage is a sacrament, called matrimony; the married couple are called together by God to become, in their unity and in their love for one another, “an efficacious (i.e. visible & effective) sign of Christ’s presence” (Catechism 1613). As a Catholic Church we are most interested in assisting you in the preparation for married life. As the saying goes, “A wedding is for a day; a marriage is for life.” There are aspects of this preparation pertaining to both the marriage and the wedding described here for your convenience. St. Augustine Parish welcomes engaged couples who are registered parishioners, whose parents are registered parishioners, or couples living in Andover who are interested in becoming registered parishioners. Occasionally we can accommodate others, however, please understand that priority must be given to our own parishioners. The first step in the process is this wedding application. Please take the time to share with us “who you are”, “how we can contact you”, and “your initial thoughts on date, location and time”. Upon receiving your application, we will contact you to either schedule an appointment, request more information, and/or advise you on whether we can accommodate your request. Documentation: In addition to the wedding application, we will advise you about the documentation which is required. This will include certificates of Baptism, and may require a letter of permission from the pastor of your local church. An Exercise in Sharing and Communication: This has two parts to it. The first, often referred to as “The Premarital Inventory”, is a tool designed to guide a focused discussion between you and your fiancé and the priest or deacon assisting you on important issues related to relationships and marriage. This takes place in your first meeting with the priest or deacon assigned to work with you. The second is the Marriage Preparation Workshop (often referred to as ‘Pre-Cana”), and it is a meaningful workshop with presentations, panel discussions, and small group conversation with other engaged couples. There are several formats for this, including an Engaged Encounter Weekend or Transformed in Love. Planning: You will receive a booklet from us entitled “Together for Life” which will guide you through the process of selecting the prayers, scripture, and format of your Wedding Mass or ceremony. Our Director of Music will work with you to select and plan the music of appropriate content and format for a Catholic wedding liturgy. And finally, you’ll have the opportunity to discuss with the priest or deacon the details of the sacrament and the ritual. The rehearsal: This is scheduled with and conducted by our Wedding Coordinator, within a day or few days before the wedding itself. 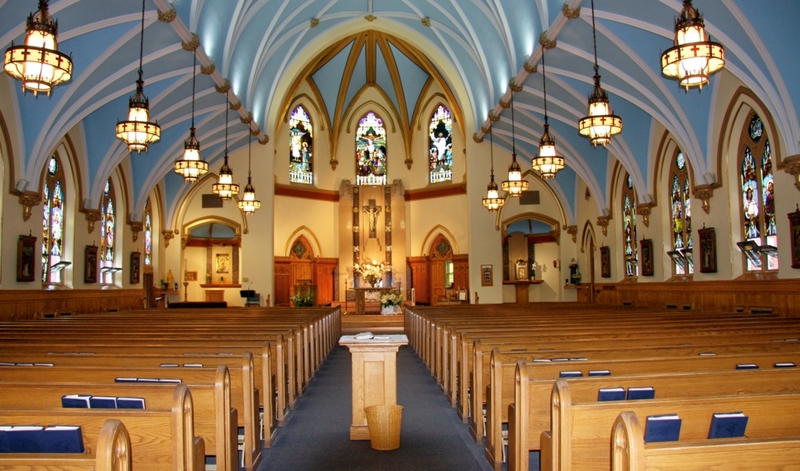 Our main church, St. Augustine Church at 43 Essex St, seats 525 guests in a configuration of 3 rows of chairs (in the front) and 19 pews on each side. 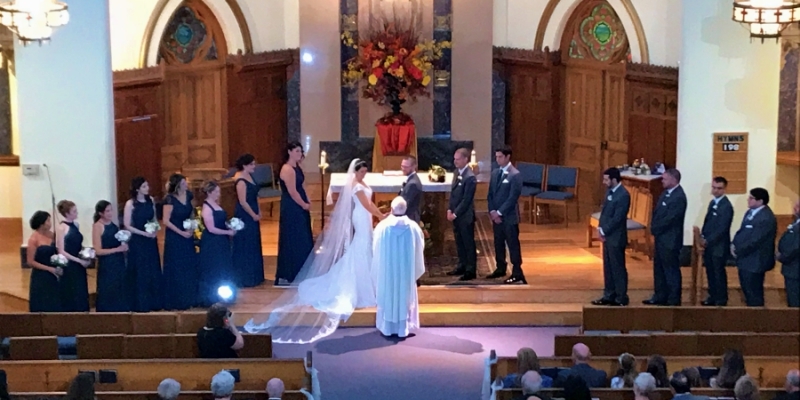 Because of regularly scheduled Masses, the times for weddings in St. Augustine Church on weekends are Saturdays only at 10am, 12noon, 2pm and 6pm. Weekday weddings are accommodated dependent upon church availability and regularly scheduled activities. 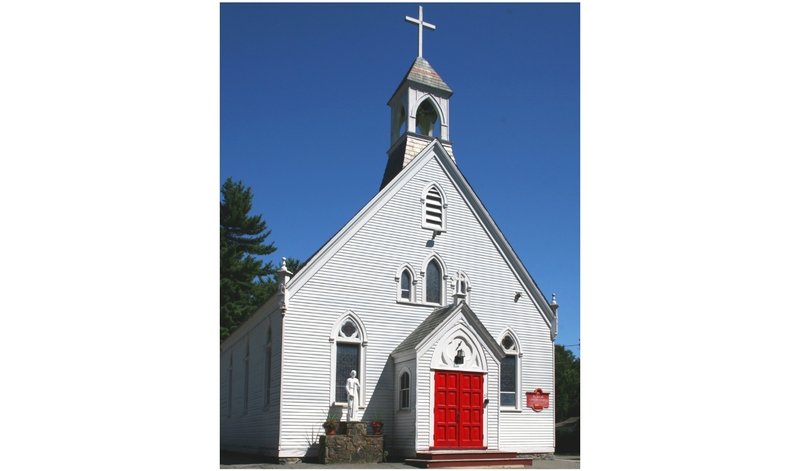 St. Joseph Church, 20 High Vale Lane in the Ballardvale section of Andover, provides an intimate setting for up to 180 guests. Times for weddings at St. Joseph Church can be more flexible and a Sunday wedding can be accommodated. Many times a wedding in the Catholic Church takes place during the celebration of Mass, called a Nuptial Mass. In this case the priest is the celebrant of the Mass. If the couple has been doing their preparation with one of the deacons, that deacon would preach and officiate for the exchange of vows. When a Wedding Mass is not chosen, an ordained priest or deacon officiates at your service. We are happy to host visiting clergy (priests or deacons) for those couples who wish to invite a family relative or friend, a college mentor, or the priest or deacon from their home parish. Visiting clergy are required to conscientiously fulfill all of the requirements of both the Archdiocese of Boston and St. Augustine Parish, including a formal letter of request seeking delegation and a letter of good standing from his home diocese or Religious Major Superior. The parish has an art and environment ministry which is responsible for decorating the church throughout the year, consistent with the liturgical themes and seasons. You are invited to add to the church’s decorations but may not replace them. Our churches are liturgically decorated consistent with the religious seasons of Advent, Christmas, Lent and Easter. Please have your florist consult with the parish’s wedding coordinator (978.475.0050) during these seasons. The seasonal church decorations may not be moved or removed. We ask photographers to be respectful, reverent and to minimize their presence. Stationary videography is permitted - we ask that cameras be set at the side or the rear of the church. The parish fee for parishioners is $850, and we ask you to make a $100 deposit within one month of our acceptance of your wedding application. The parish fee for non-parishioners is $1,250, and we ask you to make a 50% deposit within one month of our acceptance of your wedding application. The music fee will vary based on the music program and the number of musicians. Please note that there is a $125 bench fee applicable when outside musicians are engaged. We are here to help. As soon as we receive your on-line application, someone from the parish will reach out and contact you for the next steps. We want your day to be special and wonderful, and we want for you to always remember us as welcoming, helpful, and joyful ambassadors of Christ.